Open and distance education in Taiwan has evolved into the third phase – cyberlearning – conceptualized as teaching and learning interactions mediated entirely through the application of state-of-the-art information and communications technologies (ICT), such as the Internet and World Wide Web (WWW). Socio-economic influences, the development of new technologies and a marked shift in learning paradigms have increased the utilization of ICT at all levels of the Taiwanese education system. Since the advent and provision of cyberlearning programs, well over half (56 percent) of the conventional universities and colleges have been upgraded to dual-mode higher educational institutions. They offer real-time multicast instructional systems using videoconferencing and cable TV technology, virtual classroom systems via network-based instructional management systems, and curriculum-on-demand systems utilizing video-on-demand technology. Critical success factors in the development of these cyber universities and the opportunities, challenges and implications inherent in these are analyzed. ICT and the provision of cyberlearning have gradually been changing the structure and vision of higher education institutions as well as the entire learning environment and educational systems. Because the Ministry of Education (MOE) has initiated a policy on credit-based degrees for cyberlearning courses/programs, the development of open and distance education is anticipated to hasten the transformation of Taiwan’s education system towards one which will create an ideal learning society in the 21st century. Chen, Y. (2002). The Development of CyberLearning in Dual-Mode: Higher Education Institutions in Taiwan. 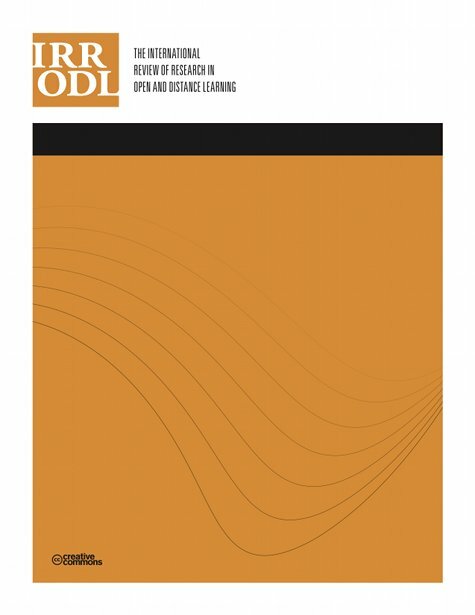 The International Review of Research in Open and Distributed Learning, 2 (2),. Athabasca University Press. Retrieved April 22, 2019 from https://www.learntechlib.org/p/49591/. Chao, M.S. & Huang, R.H. (1997). A Case Study of aBroad-band Network Real-time Multicast System: The Development of National Chung Cheng University Distance Learning Pilot System. Journal of Information and Education, 58: 30-38. Chen, Y.J. (2001). Cyber University and Adult Learning. Adult Education Bimonthly, 59: 30-39. Chu, C.T. (1999). The Development of Interactive Distance Learning in Taiwan: Challenges and Prospects. Educational Media International, 36(2): 110-114. Daniel, J. (1996). Mega-universities and Knowledge Media: Technology Strategies for Higher Education. London: Kogan Page. Han, H.W. & Wang, Y.C. (1999). Lifelong Cyberlearning System: A Pilot Project for the Learning Society in the ROC. Educational Media International, 36(2): 115-120. Latchem, C., Abdullah, S., & Ding, X. (1999). Open and Dual-Mode Universities in East and South Asia. Performance Improvement Quarterly, 12(2): 96-121. Lee, G.B. (1997). The Current Status and Future Trends of Web-based Training. The Navigator of Information Application, 15: 1-14.